Find best Spectral Estimation Method for a Power Spectral Density plot. A menu of 10+ spectral estimators from Steve Kay`s textbook `Modern Spectral Estimation` 1988 is available to choose from. Some estimator results differ dramatically! Find best Spectral Estimation Method for a Power Spectral Density plot. A menu of 10+ spectral estimators from Steve Kay`s textbook `Modern Spectral Estimation` 1988 is available to choose from. The results differ dramatically from one estimator to another. 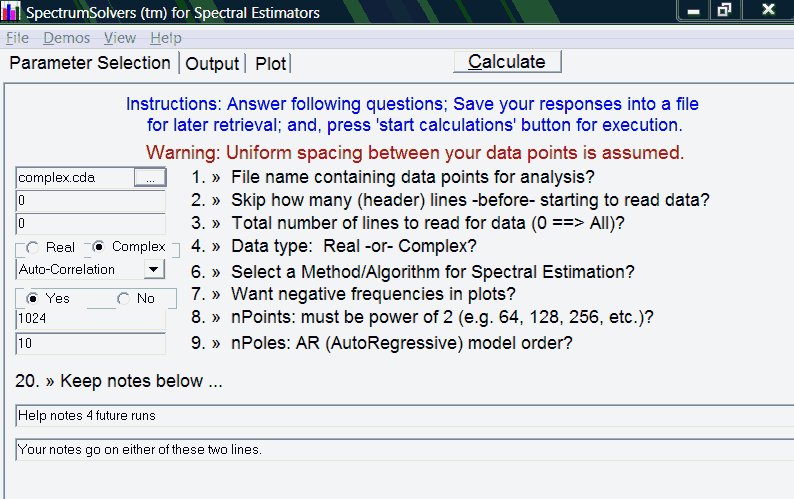 Plus, varying input parameters and/or number of points may provide discrepancies. Observe how zero padding effects your results. See 50+ dB weak signal detection. The InDXp Module is an extension for the admaDIC Calculator and assists in designing, running and analysing Industrial Designed Experiments. It offers 2-level analysis for experimental data, export and copy&paste to and from spread sheet software. Asynx Planetarium is a easy to use planetarium program and solar system simulator. It can display the night sky from any location on earth and between the year 1760 and 9999. Perfect for students, kids and astronomy beginners. Try it, it`s free !